Finally I upgraded my phone. Now I can actually update apps, take photos, and go nuts on podcasts. With a new phone also comes the need for a new case – I am not one of those graceful and dainty enough to never drop it. I figured it would probably be best to leave my old plastic, thousand-year-in-landfill Sportsgirl cases to the wayside and find something a bit ( a lot ) more sustainable – that’s an item I actually can afford to go all-out enviro on. This year has been a lesson in not only analysing my sustainability in terms of clothing, food and cleaning products, but just about everything. I’m getting there at least. 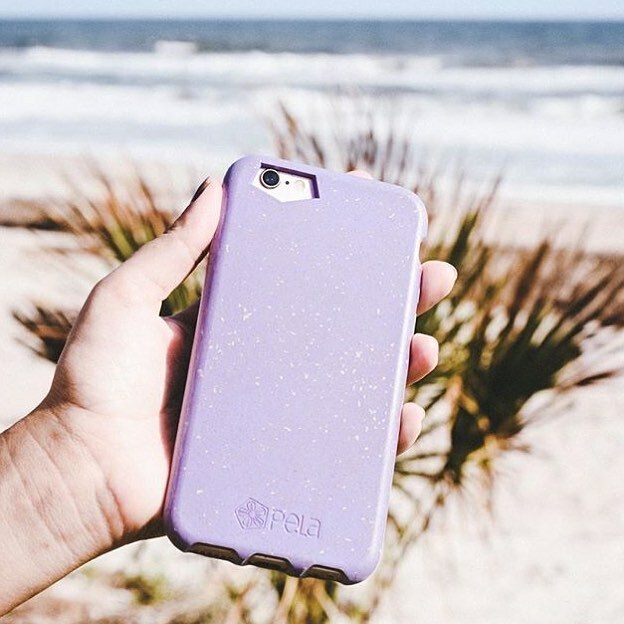 With a little help from my friend Google I found the viable options I needed, and Pela Case won my heart. Most cases I found were bamboo, therefore woody looking and almost man-ish. I may not be the girliest of girls and ALWAYS prefer boots over ballet flats ( sending the love out to Emma Watson’s Belle ), but I still want my phone case to have some semblance of femininity and understated beauty. 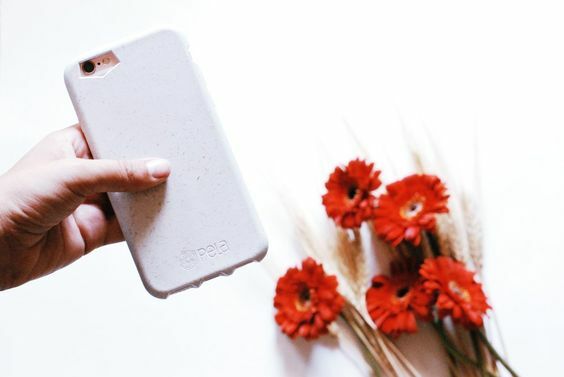 On the other side of the spectrum, Pela Cases are made out of flax straw and other recycled fibres, available in a range of colours ( I settled on white to match my disappointingly white iPhone – read the labels, kids ), and easy on the eye. You can even feel the recycled-ness emanating from these – like the texture of recycled paper, with little lumps and bumps of random fibres. To be honest, my white case almost looks like my mixed up porridge. Which I don’t mind at all since it’s my favourite food ( looking at my case now is making me desperately hungry ). The best part? It really is a full cradle to cradle process. When you’re done with the case / upgrade your phone again, you can just chuck it in the compost to rot away naturally ( at a much speedier rate ) or send it back to be re-transformed. Back to the protective issue – it’s worked so far, and I wholly trust this case – far more than the Apple case I was using as I waited. Try it for yourself. You may even be lucky enough to receive a personalised, hand-written note full of love from Canada. We’re making friends everywhere. And if you are feeling girlier than I, go for the lavender or red. It will match all your pretty outfits, or act as the ultimate, always-handy coloured accessory. Previous Post the battles of a sustainable life. Next Post important articles :: issue i.